Initially, when I first registered for the challenge, I wasn’t nervous about the challenge at all but I was excited to have this learning experience. How naïve was I! However, as the weeks went by, I became very aware of how little $21 was and how easily it could be spent in a day. Even as I was shopping for groceries for the week, I felt stressed and disappointed because I realized how limited I was in my choices. I didn’t have enough money to spend on yummy snacks and although I strived to be health conscious, I was only able to buy the cheapest fruits and vegetables in a small amount. 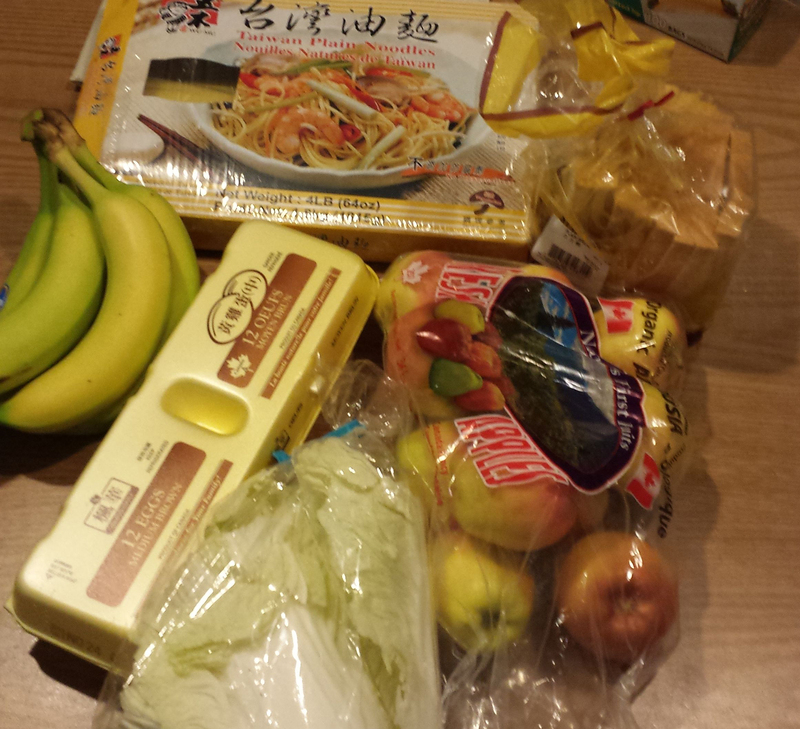 I bought apples, bananas, noodles, lettuces, bread, and eggs. I only have $6 left. It will also be challenging not to have sauces or condiments in my food.